Season 3 is about to begin! Yearly visit to Finland during early spring has become a symbolic break between our travels. For us it doesn’t really mean coming back home (well, we don’t even have a home), but being in Finland still of course feels different than being abroad. This time we stayed altogether seven weeks in our former home country, and worked a bit over two weeks of it in Oulu Music Festival. In addition to working, we visited friends and family members, and had some business meetings regarding our online work. We have really enjoyed our time in Finland, but are ready to be back on the road again. In this post we open up our plans for the coming travel year, that we call FinnsAway Season 3. We will begin this new season by flying from Helsinki to Burgas in Bulgaria. Our final destination is Cyprus, but we chose to fly via Bulgaria, mainly because we wanted to use Norwegian Airlines and utilize the reward points that we have collected from using Bank Norwegian credit card. (Nordic travelers; we warmly recommend getting Norwegian credit card, check it out here.) When in Bulgaria, we’ll spend a day in Burgas, take a train to Sofia, and stay there for a couple of days exploring the capital of Bulgaria. We have traveled in Bulgaria a few times before, the last time in autumn 2017, when we hiked on the Balkans and Rila mountains and visited charming Plovdiv. As you may know, we have spend quite a lot of time in Cyprus in past two winters. The island has become familiar to us, and it feels like a natural starting point for the next season. We finally get to see Cyprus in spring, when the weather is sunny and warm, and the nature is blooming after the winter rains. Also, we wanted to do some more house- and pet-sitting in the same places that we have already been (oh yes, we miss the dogs!). We’ll fly with Ryanair from Sofia in Bulgaria to Paphos in Cyprus, and travel plan in Cyprus includes at least a road trip in northwestern part of the island, and hiking or trail running in the Akamas Peninsula National Park. The plan for the summer months is to travel in southern Europe. We will pick up our car from Alsace, France, where it has been over the winter, in the yard of our friends house. The initial plan is to travel around southern France, northern Spain and northern Portugal. In addition we will visit Monaco and Andorra, two of the three European countries we haven’t yet been in. This road trip will for sure include hiking on the mountains, both the Alps and the Pyrenees, and camping in the middle of the nature. We haven’t ever been in this part of Europe, so this road trip sounds like a wonderful adventure! After the road trip, we are planning to head back to Alsace, in the village of Gueberschwihr. We stayed there six weeks last summer, taking care of the house and garden of our friends while they were in Finland. It would be lovely to jump back in the life of this small, beautiful village also this summer. Alsace is a famous wine region next to German border, just north of Switzerland, in a valley between Rhine River and Vosges mountain range. The area is very scenic, with old villages with stone houses, narrow cobbled streets, flower plantings and of course family-run wineries. The villages are surrounded with vineyards, and the gentle slopes of Vosges mountains, together with the Regional Natural Park of Ballons des Vosges, offer peaceful natural environments with amazing trails for running. When we’ll have visited Monaco and Andorra, the only European country where we haven’t been in, will be Iceland. We were planning to go there already during season 2, but after all it didn’t fit into our travel plans last year. So maybe this year we’ll finally have a chance to get to know this exceptional land of glaciers, geysers and waterfalls. Early autumn would probably be a great time to visit, as during the summer months this island is packed with tourists and the prices are at their highest. We have read so many travel articles about Iceland, all of them glorifying, that we are really looking forward to seeing the natural beauty if Iceland with our own eyes. In autumn we’ll have been on the road for over two years, so I guess it’s about time to travel overseas. We have spent two winters in Europe, and have to say that even if the winters are mild in southern parts of Europe, we wouldn’t mind staying the coldest months in more tropical environment this year. We don’t have tickets yet, but the plan is to fly to Mexico around October, and possibly visit some other Central American countries, like Guatemala, Belize, Honduras and El Salvador, or Caribbean islands like Cuba and Dominican Republic during the winter. We have been in Mexico on a holiday trip back in 2009, and in southern parts of Central America (Panama, Costa Rica and Nicaragua) in 2012. In addition to exploring these areas, that are mostly new to us, we want to enhance our skills in Spanish, to the level that we will be able to have proper conversations. We know some Spanish already, and have even studied it at some point, but we call our current level as “survival-Spanish”, which is not enough to chat with people. Our existing travel partners for season 3 are mostly sports related. We are happy to let you know that we have just started co-operation with Fasciawear, a Finnish company producing sports outfit that improves performance and reduces strain on muscles and joints. If you are onto sports yourself, check this innovative sportswear out, and order yours with code finnsaway and get a 50 € discount! We also continue collaboration with Finnish sport equipment manufacturer Suunto, and use Suunto Spartan Sport watches to record our workouts. When we are on the road, we have some favorite platforms for finding the best travel deals. 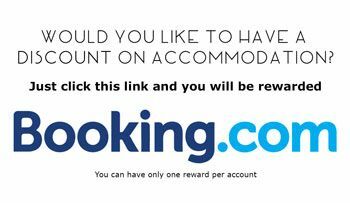 For searching apartments or hostel rooms, we constantly use booking.com and airbnb. 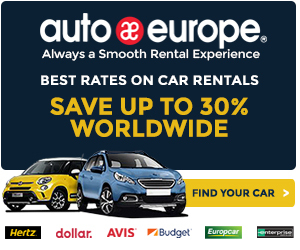 For searching cheap flights we recommend SkyScanner, and to find the best deals of rental cars, we use AutoEurope. 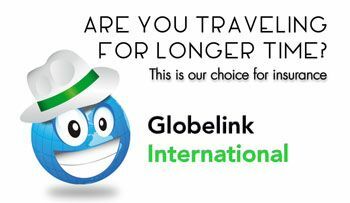 If you are looking for a longer term international travel insurance, we recommend checking out Globelink insurances, and if you are interested in house sitting, register in TrustedHousesitters to find house-owners around the world. If all these planned travels will happen, including traveling to all the four Central American countries that we haven’t visited before, it means that we would visit at least 13 countries, out of which 7 totally new to us. Let’s see if all this will happen, or how these initial plans will change during the season. Thank you for following our journey! If you have some recommendations of must-see-destinations along out route, of any other greetings to us, please leave a comment below. Monthly cost and sport diaries are here!